The Indian Wells and Miami Masters are the last two hard court marquee events before the start of the “Rafa Season.” The Indian Wells culminated last Sunday with Dominic Thiem’s three-set conquest of Roger Federer. 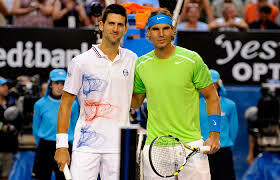 The event also witnessed a surprisingly early exit by the favorite Novak Djokovic and another – not so surprising – injury forfeiture by Rafa Nadal. Rafa’s injury prone knees robbed the fans of another Fed versus Nadal showdown. Rafael Nadal is standing as close to the baseline as he ever has and his first serve has a little more bite to it since the Australian Open. 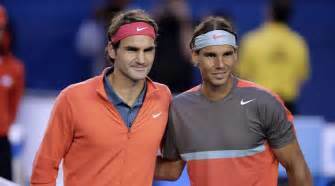 He, however, reverts to being the old Rafa as soon as he faces a big hitting, flat striking, and aggressive opponent. At Indian Wells though he faced no such big gun until Karen Khachanov in the quarters. That quarterfinal was a competitive 7-6 (2), 7-6 (2) duel, which went in Nadal’s favor but exacted a heavy toll on his injury-prone knees and rendered him unable to face the Maestro in the semi-final. The walk-over by Rafael Nadal was the anti-climax of the event. Rafa’s injury prone knees, therefore, robbed the fans of another Federer versus Nadal showdown. Novak Djokovic was more in the news for the politics of tennis than his tennis. Novak Djokovic was sent packing quite early and unceremoniously, by the talented German – Philipp Kohlschreiber who had also downsized Nick Kyrgios 6-4, 6-4 in the previous round. Kohlschreiber, however, lost 6-0, 6-2 to Gael Monfils in the next. Novak, notwithstanding his early loss to Kohlschreiber, was in the news for tennis-politics and not consulting Nadal and Federer before ousting the ATP CEO – Chris Kermode. Novak Djokovic even avoided talking to Roger Federer prior to the announcement of the decision, by the Players’ Council lead by Djokovic, to vote Chris Kermode out. Dominic Thiem won his first Masters 1000 event. Dominic Thiem has beaten the Big Three in the past but, quite surprisingly, failed to win a slam or Masters 1000 event! This time around, however, he turned the tide and downed Federer 3-6, 6-3, 7-5 to claim his first Masters 1000 trophy. Thiem’s big back-swing makes his game a little unsuitable for fast surfaces, Indian Wells, however, plays as slow as the clay which is Thiem’s surface of choice. Roger Federer would do well to take a few weeks off after two back-to-back finals in consecutive events. Federer’s fitness and ability to focus is compromised with too many matches and without a well-earned break in between. He, however, is scheduled to play in Miami before starting the clay season. We only wonder if all this overplaying will jeopardize his shot, if any, at winning the Wimbledon this year. ← Nick Kyrgios is in the news for tennis lately.